My name is Teresa and I am the co-owner of Wayne’s Plumbing. I’m writing to share how pleased we’ve been with our WordJack digital advertising program. 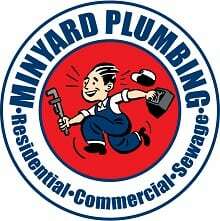 Plumbing in the Charlotte market is extremely competitive and more customers are turning to the Internet to find the right plumber for them. We knew we had to be advertising on the web, and we selected WordJack to help us out. We couldn’t be happier. Our marketing manager, Shannon, has walked us through the full online marketing process – everything from helping us optimize our presence on Google, to writing blogs to setting up and managing our social media pages. The results have been outstanding. In fact, we are reducing our spend in other advertising media to invest more in our WordJack activities. It’s working that well! [Quick Tips] What is Bounce Rate, What Causes it, and How Can I Reduce it?